With close to about 4 Million beacons deployed globally, 2015 was arguably the best year for proximity marketing yet. And going by the latest numbers from Proxbook’s Q4 2015 Report, the industry is well on track to deploy 400 Million beacons by 2020. And what is all the more exciting is that, while most of the beacon use cases that the industry and media talked about at the beginning of 2015 were about retail, towards the end of last year, many more verticals ( such as libraries, airports, hospitals, hotels etc.) successfully deployed beacons. According to Patrick Connolly from ABI Research, these sectors outside the retail market will continue to be areas of huge growth in 2016 and we will see a lot more new use cases being unlocked this year. Overall 2016 seems all set to be the year in which beacons will move out of innovation budgets as the true value and role of beacons will become much clearer. So much so that, experts predict that, we will see a major shift from stand-alone beacon trials to campaigns fully integrated into digital marketing strategies this year. In this blog, we will discuss in detail how the beacon industry has evolved over the span of 2015, what to expect of it in the year ahead. Despite the launch of Eddystone in July 2015, the number of companies supporting iBeacon standard grew from 196 in Q3 to 225 in Q4 of 2015, according to Proxbook’s Q4 2015 Report. And being a beacon standard that is simple, mature and natively supported by millions of devices around the world, iBeacon will continue to be the most frequently used beacon standard in the industry. Particularly because it has everything that is needed to be loved by developers and businesses all over. Another important thing to note here is that, iBeacon didn’t see any major updates being announced in 2015. While this may seem to portray a lack of growth, the truth is that, iBeacon is a finished product and doesn’t really need much of additional feature updates. However, experts predict that in 2016, we can expect to see iBeacon deeply integrated with Apple for Business to provide another layer of context to business apps and tools in an effort to provide more value to the end consumers. For example, one thing that could make things more interesting this year, could be the launch of Apple’s indoor location strategy which is a handset based location technology that leverages a combination of Wi-Fi, beacons and sensor fusion. According to Patrick Connolly from ABI Research, this also means that there will be plenty of opportunities for innovative location technologies, which can be layered on top of Apple’s offering. Businesses can also innovate by working with non-Apple technologies like audio, LED, AR/VR etc. All in all, iBeacon format, irrespective of whether it develops any further or not, will continue to be the number one beacon technology in 2016. One of the primary challenges faced by brands looking to leverage beacons is the need to have an app in place. It is this very same pain point that gave Google’s Eddystone an extra push during its launch. Marketers all over were excited about the promise that this BLE beacon format made with respect to app-liberation via the ‘Eddystone-URL’ packet that it broadcasts. Nevertheless, year 2015 failed to see any serious Eddystone deployments, the primary reason being its inability to deliver on its promise yet. For example, though Eddystone was launched in July 2015, support for URLs on Android were rolled out pretty late into the year. Adding on to that Google failed to rollout integrations of Eddystone with other Google products (such as AdWords, Maps, or Analytics), which held back many businesses from trying Eddystone out. In fact if launched on time, these integrations could have actually been Eddystone’s biggest value factor. Thus, as long as Eddystone exists in isolation from the entire Google platform, its two additional frame types (Eddystone-URL and Eddystone-TLM) will not be advantageous enough for some businesses that have already succeeded with iBeacon. In fact, this clearly highlights one of the primary reasons why iBeacon will continue to lead the pack in 2016 – its ability to provide businesses with an innovative ecosystem that delivers clear values rather than just releasing one or two new features. We also need to keep in mind that Eddystone is still a young format, and it needs time to be fully explored, tested, and deployed. From our experience in the proximity marketing industry, it is a well known fact that moving from a proof-of-concept to a full-scale beacon deployment can take as long as a year. Given that, we are sure that we’ll soon see more brands run successful beacon trials with Google’s Eddystone format. Having realized that being able to target consumers with right information at the right time, in the right context can be extremely lucrative, Facebook also jumped on the beacon bandwagon in 2015. Having had a widely adopted app that catered to a huge and engaged audience with a great user interface and an ad network that utilized consumer data efficiently, Facebook had everything that was needed be a successful proximity solution. Adding on to that, they were even committed to giving away beacons for free. All in all, Facebook seemed poised to take over the market of small and medium businesses and OOH. However, that didn’t happen. One of the primary reasons behind this is that proximity is a complex product that can be quite difficult to market and advertise. 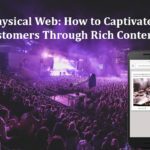 Therefore it is highly critical for businesses in the proximity marketing industry to give a lot of thought to the kind of values that they plan to deliver. Another equally important aspect lies in being able to focus on clearly communicating the values that are being offered. This is particularly critical when you are trying to sell proximity products to non-tech brands. Facebook’s major drawback was the same – its offer was too unfocused. Neither did it offer any hyper targeting to drive people to stores, nor did it provide businesses with information about analytics on in-app engagements or foot traffic. Therefore, it comes as no surprise that we didn’t hear about any Facebook beacon implementations in 2015. However, things might change this year. Given Facebook’s deep understanding of mobile and its ability to constantly adjust its strategy to cater to the needs of today’s new generation, we are sure that they will work on improving their offering and that we will hear a lot more about Facebook beacons this year. All in all, year 2016 seems all set for an exciting and market-changing battle between Google and Facebook. And the key to success lies in who will build a robust and scalable solution quicker than the competitor. Who do you think will win? Let us know in the comments below. I suggest you go to the following website: http://www.the-beacons.com You will be satisfied with their service, they are great and the products are of quality . I am delighted to have been able to exchange with them.